The Rye introduced Emma Fisk to the joys and rigours of touring up and down the land in a transit van. 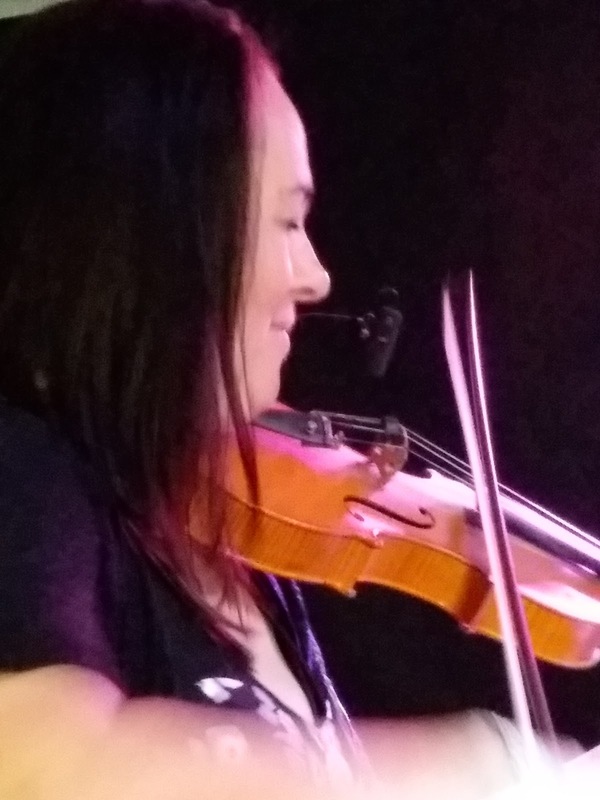 After a few years on the road the County Durham based violinist decided the time was right to go to university – Newcastle University, as it happens – with her sights set on becoming a BA, then an MA. Mission accomplished, Fisk accepted an invitation to join Djangology and in no time the Hot Club outfit established itself as one of the best-loved bands on the northeast jazz scene. Djangology, later to become Djangologie, recorded albums, chalking up countless gigs, then, as is often the way, decided to call it a day, the four musicians keen to work on new projects. And this is where Hot Club du Nord came into the picture. A desire to play the music of 30s and 40s Hot Club giants Django Reinhart and Stephane Grappelli brought together Fisk, guitarists James Birkett and Dave Harris, and bassist Bruce Rollo. Where Djangologie left off, Hot Club du Nord took the baton, ran with it, and in double quick time played sold-out gig after sold-out gig. At Sage Gateshead, on Wednesday, June 20, Emma Fisk’s Hot Club du Nord will headline a superb double bill alongside the Joe Venuti-Eddie Lang inspired duo of Fisk and Birkett. Sage Two is likely to sell out as patrons just can’t get enough of ‘classic era’ jazz. It helps, of course, that violinist Fisk and guitarist Dr James Birkett are virtuosi. Numbers written by, or associated with, pioneers Venuti and Lang, notably their Blue Four, will feature in the duo’s set. Fisk will provide a commentary that is both informative and entertaining in equal measure. The four members of Emma Fisk’s Hot Club du Nord are busy people working with many other fine musicians, fulfilling teaching engagements and goodness knows what else. Wednesday, 8:00pm in Sage Two, is a golden opportunity to hear them in world class surroundings. To book your tickets telephone Sage Gateshead’s ticket office now: 0191 443 4661.